As a national security correspondent for the Washington Post, Souad Mekhennet puts herself into situations most people couldn’t imagine. Since 2001, she has provided insightful and comprehensive on-the-ground reporting from the frontlines of extremism, interviewing terrorist leaders and their victims to understand what drives them. 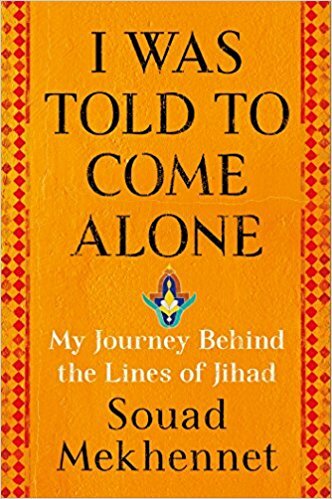 In her new book, I Was Told To Come Alone, she combines memoir with in-depth stories about her reporting to create a complex portrait of identity, conflict and ideology. “I put my life on the line to interview jihadis in war zones, because we must understand what is happening in the hearts and minds of those individuals if we are going to understand this problem,” Mekhennet tells Paste. Mekhennet was born in Germany to parents from Turkey and Morocco, and she spent her earliest years living in Morocco with her grandmother. Mekhennet returned to Germany to live with her parents and siblings after a few years, but she experienced a harsh level of xenophobia there that sometimes left her feeling like an outsider in her own country—particularly as anti-immigrant sentiment grew in the 1990s. In her book, she recounts one experience when a car of skinheads chased her and brother down the street. While Mekhennet felt anger, her parents were proactive in making sure she knew Germany was her home, too. Mekhennet’s own conflicted sense of identity creates a throughline in her work. 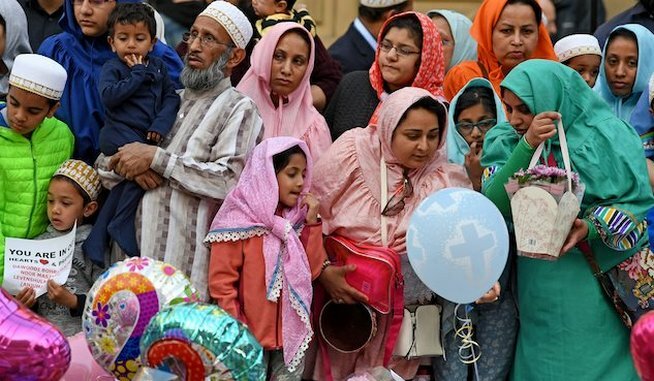 She’s not simply trying to explore the “what” of extremism, but puzzle through the “why” that makes people identify with groups like al-Qaeda and ISIS. From Manchester to Paris to Brussels, many of the most high-profile attacks in the West in recent years have been carried out by people who grew up in the cities or countries they would eventually turn against. Mekhennet wants to understand how they’re pushed over the edge to a place where they can be recruited by extremists. Radio first sparked Mekhennet’s interest in journalism; she worked in local Frankfurt stations in high school and kept a newspaper photo of the film All The President’s Men tacked on her bedroom door. When she graduated, she was encouraged to apply to the prestigious Henri-Nannen School, a journalism school in Hamburg that routinely accepted experienced professionals rather than teens breaking into the field. But Mekhennet was admitted, and after finishing the year-and-a-half program, she returned to Frankfurt. When 9/11 happened, Mekhennet began independently reporting on Germany’s role in the global extremist network, which landed her on the radar of major publications like the Washington Post. It was with the Post and later the New York Times that Mekhennet went to Iraq immediately following the U.S.-led invasion in 2003. She was a student in International Affairs at that point: by day she interviewed religious leaders and locals, and by night she studied and wrote papers to send back to her professors. Mekhennet was living in two worlds: one in which she was learning about political thought and theory, and another in which those very same theories were being put to the test and failing. Mekhennet’s reporting on extremism has taken her from the frontlines in the fight against ISIS to refugee camps to the living rooms of people who have lost loved ones. She’s also followed leads that have kept her on the cutting edge of her field; she had Abu Musab al-Zarqawi, leader of the group that would become ISIS, on her radar soon after the invasion of Iraq and has most recently written about Hamza bin Laden, Osama’s son, and his emerging leadership role in al-Qaeda. Mekhennet jokes that “tea and marriage proposals” are sometimes how she gets in the door for groundbreaking interviews, but the real reason is her willingness to hear people out as an impartial reporter. “I make it very clear that I’m not taking any sides,” she says.